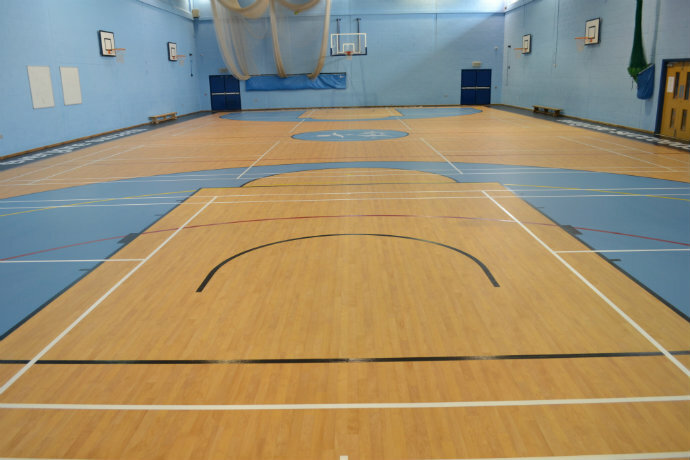 When Torquay Academy first met with DYNAMIK to discuss replacing their sports floor they had a brief but strict criteria. They wanted a floor that is easy to maintain, suitable for underfloor heating and a floor that made a statement. The first two were easy for our specification team as they opted for a vinyl surface to make ongoing maintenance easy for the Academy and with the underfloor heating incorporated within a level screed Athen was the system of choice. The final part of the criteria however was not so straight forward. After initial conversations between DYNAMIK’s design team and the Academy it was clear that their new floor was going to look like no other. 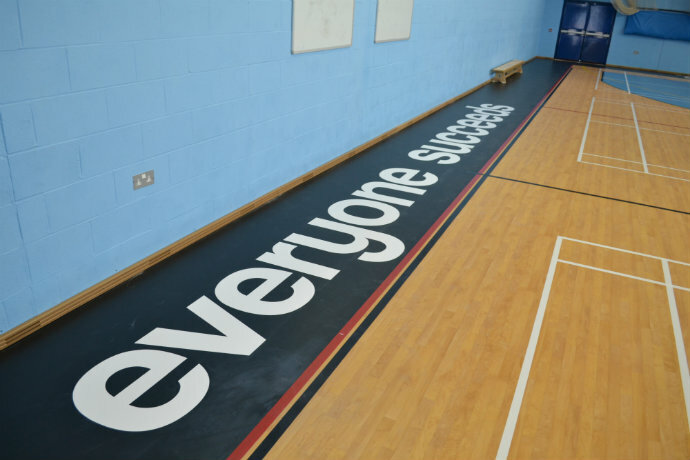 The final design combined a tri coloured surface, lettering and the academy’s logo by using a combination of different surface colours, durable polyurethane line marking paint and vinyl decals. 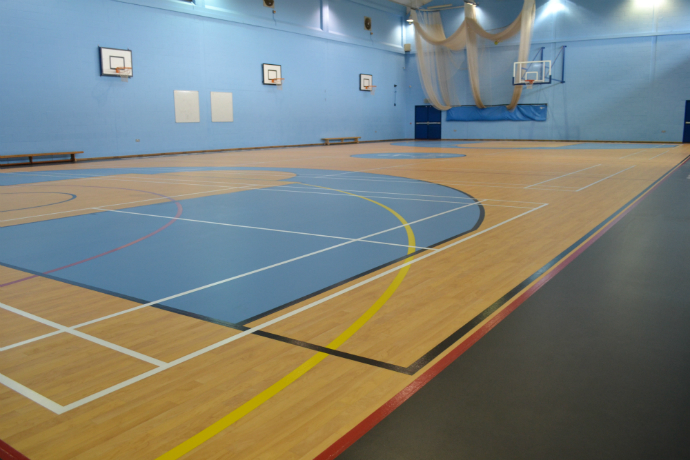 The completed installation has achieved exactly what it set out to do with the Academy’s staff, pupils and parents all overwhelmed with the new sports floor, not only with its stunning design but also its performance and ease of maintenance. 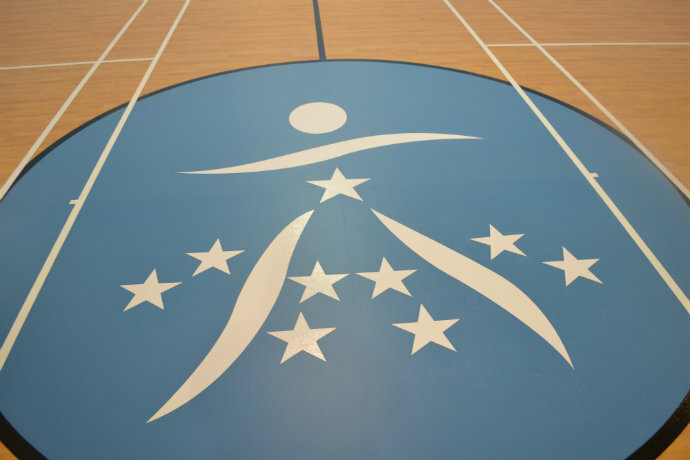 The project was also the first for DYNAMIK’s design team that incorporated three coloured surfaces, polyurethane line marking paint and vinyl decals, making it a truly unique sports floor for everyone involved.